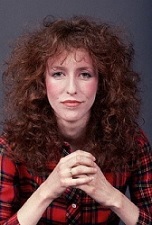 Claim To Fame: Laraine Newman is an American comedian, actress, voice artist, and writer who was best known for being an original cast member of NBC's Saturday Night Live. Family Life: Newman married actor-writer-director Chad Einbinder in 1991. They have two daughters, Lena and Hannah. Info: Has a twin brother named "Paul Newman". She attended Beverly Hills High School and California Institute of the Arts. Began studying improvisational comedy at age 15. In the late 1960s she was a member of the Richmond Shepard Mime Troup. Studied mime with Marcel Marceau in Paris at age eighteen. An alumna - and one of the founders - of The Groundlings comedy troupe in Los Angeles. Trivia: After seeing her in The Groundlings, Lorne Michaels cast her in a Lily Tomlin Special and later as an original cast member of Saturday Night Live (1975). During her five years on SNL she became a close friend of co-star Gilda Radner. On the board of San Francisco's long running alternative comedy festival Sketchiest. She is a contributing editor for the online magazine One For The Table, and she is an occasional contributor to the Huffington Post; contributed articles for the Los Angeles Times, The Believer, and McSweeney's. 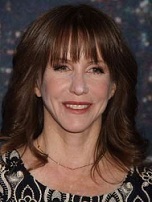 Where Are They Now: Frankly, Laraine Newman has been so busy, especially with voicework, that it would be easier to make a list of projects she's not current working on. This year alone she's provided her voicework for seven different animated series. From her credits, Newman seems to be regularly busy ever since her SNL days back in the mid-70s.